I’ll be out of town all weekend, (Addison is really far away from my native Benbrook, and I will be staying with family closer to the event) though I will try to post updates from Fencon. Don’t hold your breath, folks. 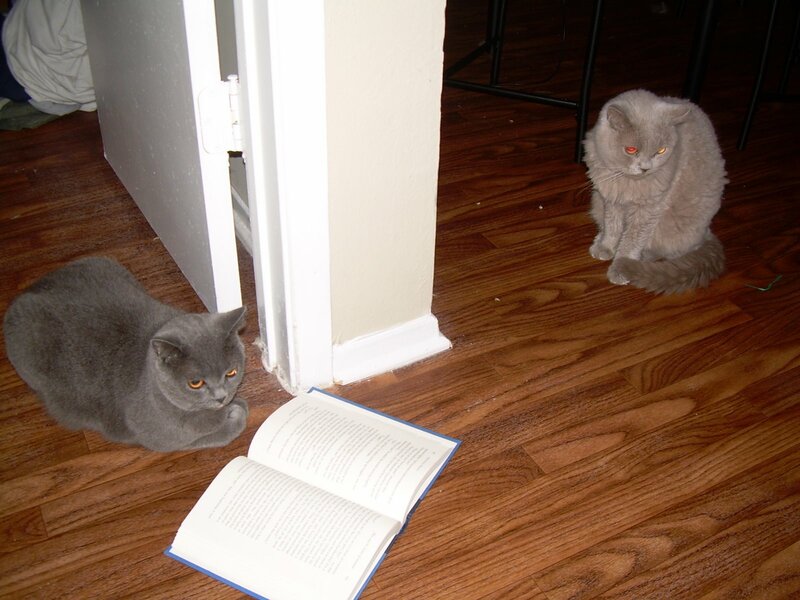 I love the cat reading photo, though I’m surprised the cat isn’t sitting on the book. Something deep in their code loves paper.